If you’re suffering from ingrown toenails, you know how painful it can be. It’s important to get your foot treated by a specialist like Dr. Gary M. Kazmer, a leading podiatrist in Illinois. 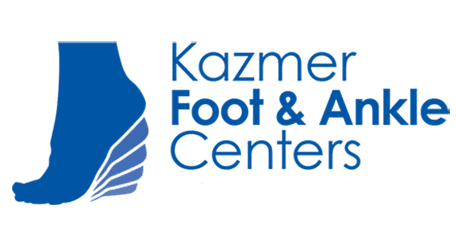 Call Kazmer Foot & Ankle Centers or book an appointment online for a personalized consultation at the Elgin, Barrington, or Chicago office. Get relief and happy feet, fast. When toenails grow into your skin instead of over it, you have an aptly named and ever painful ingrown toenail. It typically happens in your big toe and is often marked by a curved nail and red, swollen skin. The best way to keep your nails growing on the outside instead of inward is to take better care of your feet. Trimming your toenails less closely is just the start. From wearing more comfortable shoes and avoiding injuries to keeping your feet dry and fungus-free, there are many ways to reduce your risk. When do ingrown toenails require treatment? Letting ingrown toenails go untreated not only increases your pain but can lead to infection and the development of pus. If you’re living with diabetes, poor circulation, or numbness in your feet, Dr. Kazmer urges you to seek immediate treatment of ingrown toenails to avoid significant complications that could lead to even the most severe of treatments, such as amputation. For minor cases and those caught early, Dr. Kazmer usually redirects your nail’s growth by inserting a removable cotton splint or plastic wedge to raise and realign your inward-bending nail; you replace the wedge daily until symptoms disappear. Moderate to severe cases call for more significant measures. Oral or topical prescriptions in combination with other home remedies are often effective. Dr. Kazmer administers local anesthesia when incisions are needed, and he also uses lasers or chemical applications to permanently remove your nail and nail bed as required. Ask Dr. Kazmer about the best treatment option for you and what to expect from your recovery. Don’t let your ingrown toenail go unchecked another day. Call or book an appointment online for a one-on-one consultation with Dr. Kazmer and find relief fast.